Since writing about my experience writing the CFA Level I exam in June, I have received many emails from people interested in finding out how to become a quant. To some extent this post will answer that question. That said, this post is actually not about how to become a quant, it is about how to be a quant in whatever sector of the financial services industry you already work in. Being is quant isn't rocket science, it's really just an ideology. In my opinion, quantitative finance should be viewed as a science and not as a profession. This means that knowing how to become a quant is less important than knowing how to be a quant. The latter deals with the principles and ideologies of quantitative finance (which I believe can be applied successfully in any area of finance or technology), whereas the former deals with the practical activities it takes to get a job with the title 'quant'. At a fundamental level being a quant is not just about knowing how to derive closed form formulas for estimating the value of an exotic option given some stochastic model nor is being a quant just about knowing how to develop, train, and test systematic trading strategies which use statistical regression models. Being a quant is about believing in and applying the scientific method to the study of financial markets in general. This ideology gained popularity with the valuation of derivatives (quantitative analysts), but quickly spread to risk management (quantitative risk analysts), and asset management and trading (quantitative traders and strategists). I predict that in coming decades this ideology will continue its spread into fields such as corporate finance, investment banking, private equity, and even venture capital. In each field it may take on a different form, evolve slightly, and maybe even take on a new name (data science? ), but the ideology will remain the same. And lastly, conclusions and final remarks. How to be a quant ~ Know the limitations of empirical science and inductive reasoning. Understand that all financial theories are fallible and all quantitative models are fragile. During my honours degree in Computer Science the rest of my class and I were forced to do a year-long module called "research methodologies". The two textbooks for the module were Philosophy of Science: From Problem to Theory and Philosophy of Science: From Explanation to Justification both by Mario Bunge. Despite our professor's best efforts to make the subject as boring as possible, I enjoyed learning about the philosophy of science and have found many of the ideas presented in the module useful during my career as a quant. The philosophy of science is a branch of philosophy which deals with the logical foundations, methods, and implications of science. Broadly speaking it tries to answer the questions: 'what is science? ', 'why does science work? ', and 'what are the limitations of science?'. Over time different and sometimes contradictory philosophies of science have formed. These include, but are not limited to, scientific realism vs. constructive empiricism vs. instrumentalism, induction vs. deduction vs. abduction, and even logical positivism vs. falsifiability. For an interesting diagram showing each of these philosophies relative to each other, click here. Realism is the view that the world described by science is the real world and not instead what the real world is perceived to be. Empiricism, on the other hand, is the view that because knowledge is based on experiences, all knowledge is tentative and probabilistic and, therefore, subject to revision and falsification. Various forms of realism and empiricism which differ in terms of their strictness do exist e.g. Scientific vs. Structural Realism. The main argument in favour of realism over empiricism is the accuracy of scientific theories. In other words, if a theory is accurate, meaning that it can be used to predict what happens in the real world, then it must describe the real world. Whilst this may be mostly true in physics, given the inadequacy of financial theories, I think that we should recognize financial theories as tentative in nature and subject to refinement and falsification. 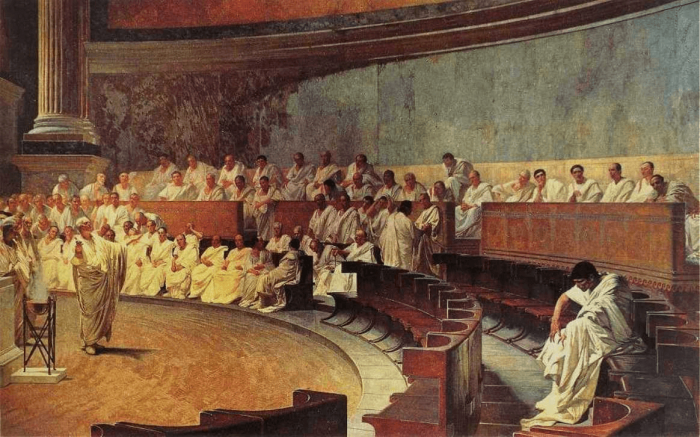 The philosophy of science distinguishes between a few different forms of logical reasoning. Deductive reasoning (deduction) involves reasoning from one or more logical premises to reach a certain logical conclusion. Deductive reasoning is the form of reasoning found in mathematics and the formal methods of Computer Science, it connects sound premises with conclusions which are, by necessity, true. Abductive reasoning (abduction) is a slightly weaker form of deductive reasoning which argues that the conclusions obtained through deductive reasoning may not be true by necessity, but that they will always be the best possible conclusion given the available data and premises. Inductive reasoning (induction) involves reasoning from one or more strong premises which are based on evidence and observations to a reach a conclusion which is probabilistically true given the supporting evidence. Inductive reasoning can never be proven true, only falsified when contradictory evidence is observed. The flaw of inductive reasoning is that knowledge obtained through induction is fragile. This is epitomized by the story of the black swan. 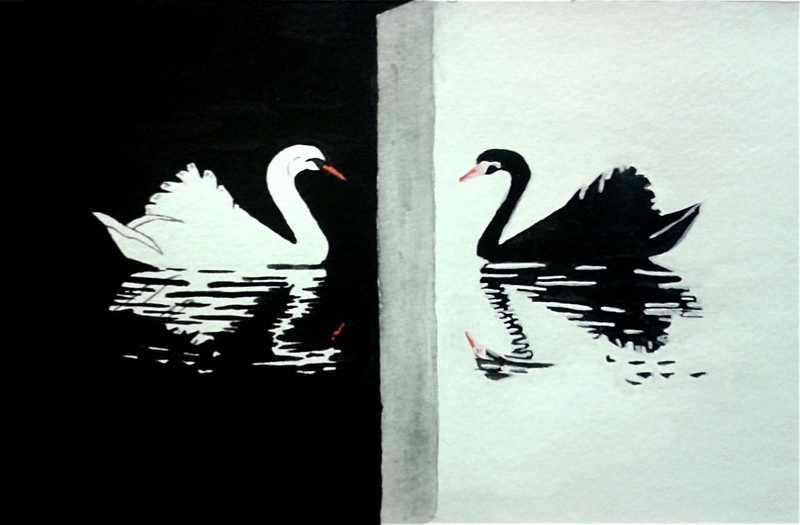 If every observed swan up until now has been white, we may use this evidence to reason that "all swans must by white"; however, it takes just one observation of a black swan to falsify the theory. As such, knowledge obtained through inductive reason is said to be fragile. This is the premise of Nassim Taleb's research. Quantitative theories about the market are built on inductive reasoning made from empirical observations. As such these theories are typically fragile and can be invalidated or falsified in the presence of contradictory evidence (outliers and black swans not predicted by the model). This is however only true in theory, and in practice most theories are subscribed to religiously and contradictory evidence is, more often than not, simply ignored. You may be wondering how the philosophy of science helps you be a quant? I believe that it is important because it forces us recognize our limitations, it keeps us objective, but most importantly it reminds us that even though some financial theories are so deeply ingrained into our profession that they may appear infallible to empirical results which refute them, they are not. Having made this statement some economic models and popular quantitative model assumptions come to mind namely, uncovered interest rate parity (UIP), normally distributed returns, linearity, and stationarity, and the random walk hypothesis / efficient market hypotheses. How to be a quant ~ use the scientific method. It helps guide scientific thinking and will improve the overall testability of your models and their assumptions (hypotheses). 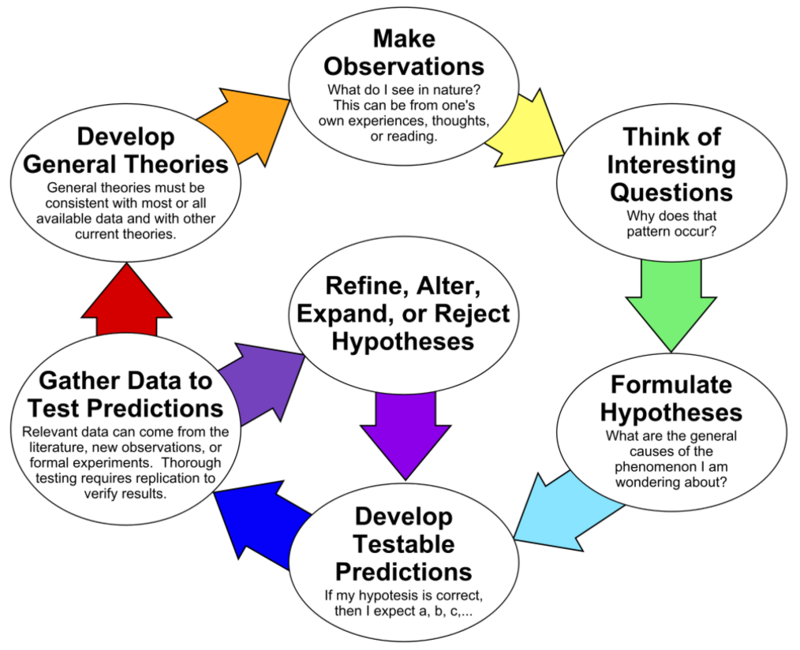 The scientific method is defined as an ongoing process which generally involves systematic observation, quantitative measurement, experimentation, hypothesis formulation, hypothesis testing, and hypothesis refinement. In this section we will walk through this process with respect to the random walk hypothesis. Here is a very helpful slideshow explaining the scientific method. It is also the source of the below image. Observations are typically things which we see, however in the context of financial markets observations can extend to ideas that we have come across in books, on the television, or perhaps even whilst reading good (or bad) blogs. Keeping with our example, we might observe that many academic papers and popular books have been published which state that market returns evolve according to a random walk / stochastic process. Who, in terms of markets, does this apply to? Are all markets equally random? How do liquidity and other measures of relative efficiency correlate to measure of market randomness? What are the underlying forces which make markets random? Is it really true that efficiency leads to randomness? If the markets are random, there would be no incentive for agents to compete in the markets, so wouldn't the market stop being efficient which implies it would not be random? Where are markets random? This ties back to question 1. Are there places in the world where markets are less random for example developing markets? And if so, why? Are the dynamics different? When are markets random? Are markets always random, or does this randomness break down during certain non-random regimes? If markets are not always random does this imply that there are profit opportunities? How can we measure efficiency and test the random walk hypothesis? Could we simulate an efficient economy using an agent based model and test whether or not the price discovery mechanism is random? As you can see, this process is, ironically, quite random and many of the questions may have been already answered either fully or partially by previous researchers. This is why doing a literature review is important. Once you have asked enough questions and read enough of the existing literature on the topic some 'good ideas' will start to form in your mind. These are the kinds of ideas we want to formulate into testable scientific hypotheses. Market returns exhibit randomness because markets adapt quickly to remove any weaknesses. Despite the fact that this is a great idea it would make a terrible hypothesis. It leaves many of the terms undefined, is not very easily testable or refutable, and is actually a whole bunch of hypotheses mashed together. Hypothesis 1 - Market movements (up or down) are indistinguishable from binary Martin Lof random sequences. Hypothesis 2 - Market efficiency, timely accessibility to all information, necessitates that markets evolve randomly. We will discuss how to possibly test this hypothesis in the next section. However, I would like to draw your attention to two papers written by LeRoy in 1973, Risk aversion and the martingale property of stock prices, and Lucas in 1978, Asset Prices in an Exchange Economy. These papers set out to test whether or not rational agents acting in an exchange economy with timely access to all relevant information necessitates that stock prices move randomly. Their conclusions were that whilst it is possible to construct a market which evolves according to a random walk, it is also possible to not. As such, efficiency does not necessarily imply that markets must be random. Lastly, we can break this statement into a third hypothesis which, despite being the most interesting, is the least actively researched. This is mostly due to the difficultly with which is can be tested. Hypothesis 3 - Regardless of whether markets evolve randomly, all profitable opportunities are crowded out too quickly for investors to generate consistent alpha over time. ... hmmm what an interesting idea. If we constrained the above hypothesis to a specific time frame e.g. 5 years, and defined alpha perhaps we could test this hypothesis. That having been said, this hypothesis is definitely a bit less concise and declarative than the others and would be harder to refute i.e. it isn't a great hypothesis and could be broken down. To develop predictions start off by assuming your hypothesis were true or false. Now work out what quantities you would expect, or wouldn't expect, to exist. For example, if the first hypothesis I formulated were true, then we would expect that market returns (up or down) would do as well on the NIST suite of cryptographic tests as a sequence whose behavior was known to be a binary Martin Lof sequence. In my previous post I used the Mersenne Twister RNG for comparison and showed that this was not true. This, in turn, implied that the hypothesis was false. One mistake that many people fall into is that they think that they falsely believe that the objective in doing research is to be right. In actual fact it doesn't matter whether the hypothesis is true or false, what matters is that we have contributed novel information to the existing scientific body of knowledge for a particular problem. If I were to test the second hypothesis, I might go one step further and develop an agent based model in which efficiency were guaranteed. From this model I would extract return sequences and, once again, test them to see whether or not they were random. We will discuss thinking with models further down in this article. This is self explanatory. The only point I would like to add is that the data used to test the predictions could either be gathered from the real world (empirical) or, alternatively, simulated using a model which matches the hypothesis. Both approaches have pros and cons. Empirical data is subject to biases in how it was measured, gathered, and maintained; and simulated data assumes that the model is correctly implemented. Based on the data collected, we can either say "yes, our predictions were correct, this evidence supports the hypothesis" or "no, our predictions were wrong, the hypothesis is wrong". Notice that in the first outcome the evidence only supports the hypothesis whereas in the second outcome the evidence falsifies the hypothesis. This comes back to the philosophy of science. A hypothesis (or theory) may be falsified, but it cannot ever be proven. I think we can all learn something from this story. Just because an idea you have is unpopular, or not widely accepted, does not necessarily mean that you are wrong. The finance community, in my opinion, is very antiquated and likes to hold onto certain ideals with almost religious tenacity. It is the role of the quant to look at the world of finance objectively and slowly unearth the truths about the financial markets. Seek truth not consensus. I must award the credit for the Markowitz quote and knowledge about the papers by LeRoy and Lucas to the book, A Non Random Walk down Wall Street, by Andrew Lo and Craig MacKinlay. How to be a quant ~ Formalize your ideas as models. Then use those models to think more clearly, test the validity of your ideas, and identify hidden patterns. The last part of this article involves thinking with models. A model is a representation of some object or process in the real world. The tools used by quants to build models are Mathematics and Computer Science. For example, a quant might maintain a model of the risks associated with a particular portfolio of assets. But why use models in the first place? Especially when they were one of the biggest contributors to the 2008 Financial Crisis. Taking an idea and developing it into a proper model, whether it be in code, mathematics or both, forces us to very clearly define that idea. Models force us to think about an ideal in terms of its inputs, processing, and outputs. This process just by itself helps us to identify missing components and correct broken ones. Once an idea has been codified as a model it is testable. The ultimate test for every model is to see how well it stacks up against the real world. Take for example a geometric Brownian Motion stochastic model of an asset. How does the model compare to the real world? Does it have market crashes? Does it have periods of higher and lower volatility? The answers, of course, are no it doesn't. These differences are what led us to develop more complex stochastic models such as the Merton Jump Diffusion Model and the Heston Stochastic Volatility Model. Another, more common, test for a model is to see if it would have worked in the past i.e. whether or not it fits the data. Take for example a simple value-biased investment strategy. So long as that strategy is based on the intuition (discretion) of the fund manager you can't back test it to see if it would have generated superior returns in the past. All you can do is hope that the fund manager is as good as he says he is. For those interesting, two fantastic quant blogs who regularly argue the merits of model-based trading are Alpha Architect and Flirting with Models. 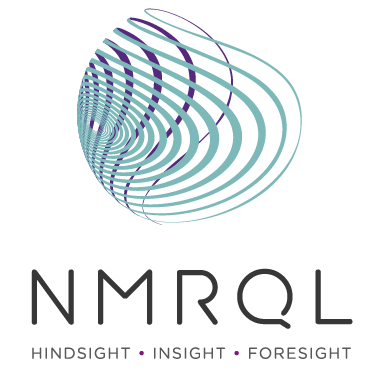 Never-mind all the amazing recent developments in pattern recognition using machine learning models such as neural networks; even dead simple models can help us uncover hidden patterns and insights into our world. Take for example the following simple question: what percentage of people need to be racist in order for the racial segregation of a city to reach 80%? The results may surprise you, because it turns out that racial segregation can emerge in a city or town if as little at 30% of individuals are racist. That's the beauty of a simple model such as the Schelling Model of Segregation; they can help us arrive at insights we never would have without the model. Please take a look at the below video for an explanation of the Schelling Model and, if you enjoy it, sign up for Model Thinking on Coursera. It is a fantastic course; I personally just need to find time to finish it. In the end, I would say that the biggest benefit of mathematical and computational models is that they allow us to break away from the imprecise mental models in our heads and in doing do they can significantly reduce the cognitive load on an individual. Basically I am trying to say that they make us smarter. Much, much smarter. 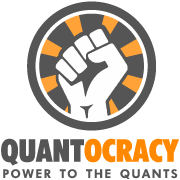 Quantitative finance is an ideology and being a quant is about more than being good at maths and knowing how to code; it is about believing in, and applying, the scientific method to the study of financial markets in general. Given this belief, my advice to individuals wishing to become a quant is simple: just be one regardless of whether you have the title or not. Quite frankly, I can't think of any reason why the fundamental principles and methodologies of quantitative finance can't be applied successfully to other non-quantitative areas of financial services or even to non financial-services companies. In my opinion this is the next logical step for quantitative finance and a couple of decades from now I think that quantitative venture capitalism and quantitative investment banking will be all the rage. Let me end off by saying that even if you got nothing out of trying except a mind-shift and the ability to demonstrate that you can apply these principles in an interview, you would still have come out on top. I have studied Mathematics up to Hons. My programming skills are limited. I would like to be a Quant. Does every Quant need to be competent in coding? I really love Mathematics and I developed a coding interest late in my studies. Hi Pheello, I think that everybody should learn how to program because it is impossible to know what is (and isn't) possible on a computer if you don't know how to program. This is especially true if you want to make a career for yourself in Quantitative Finance. Knowing how to program will dramatically improve your everyday productivity and make you more confident to tackle much more complex and computationally expensive mathematics problems. Some derivatives just can't be priced with maths (yet) so you need to know how to set up your own Monte Carlo simulations to price them; you also might need to know how to develop trading strategies (including traditional hedging strategies) and back-test them. Depending on how complex your models are, this can be quite a challenge, so knowing how to program is essential. Anyway, to summarize, not knowing how to program well enough is, in my opinion, a career limiting move for anybody who wants to have a career as a quant (or any other position in financial services for that matter). The good news is that there are many free online courses for learning how to program well including Coursera and Udacity. It takes time and it will be tough, but it will be worth it in the end. Good luck! Which (and why) programming language is best for the aspiring quant? Hi Dale, an aspiring quant would be better served by learning about programming constructs, language paradigms, and software engineering methods than learning one specific language. Common programming constructs include data structures and algorithms, concurrency, and networking. Language paradigms include functional, object-oriented, and statistical. And software engineering covers all the other stuff you really aught to know such as testing (unit and integration), model and code validation, documentation techniques, waterfall vs. iterative or agile development, version control and branching methods, etc. The best way to learn about this is to learn a few different programming languages, but more importantly, to write code which people other than yourself use. Well, because, in reality, everybody out there uses a slightly different technology stack and the ability to quickly pick up languages is arguably more important than knowing one language very well. For example, in the last three years I have had to work in VBA & Excel, Python, C#, Scheme, and now I am working in R and C++ ... and I may even start a new project in Scala soon. Some famous quant funds I know of use obscure languages like OCaml, Erlang, and more recently Lua. Given this, ideally you should try and learn about the paradigms so that whatever language you find yourself using in the future, you can work it out. I know that wasn't very concrete. So here's a concrete process you could follow (and one which I recently went through and can therefore recommend it because it has a tough learning curve) - start with 'normal' R programming, then try making your code object oriented using S4 classes, identify the slow parts of your codebase using the R profiler and then rewrite then in C++ using Rcpp. Then get familiar with writing unit tests using testthat. Learn how to document your code using Roxygen2 and how to compile your code into a proper package. And lastly, build interfaces into your code which do input and output validation. If you can get through all of that I would say that you know R pretty well. Then, following my advice I would move onto a new language and start again. I disagree with your central premise. Like economics, finance is not a science. There are some scientific tools that we use, similar to a mechanic working on a car. But given that human behavior is not fully quantifiable, finance is not a science like physics is on intermediate size entities. And yes, I am an actuary and a quant. Also, much as they call it "actuarial science" it's not really a science either. The problem is the assumption of long dated return assumptions. We don't have to assume the constants of physics and chemistry. Guesses are not scientific, and economics, finance and actuarial math are filled with them. What makes something a "science" vs. "not a science"? If, as you imply, it is related to what is "fully quantifiable" then I'm sorry to say that many life and hard sciences do not fit the bill either. Epidemeology, the study of epidemics and diseases is not fully quantifiable. Genetics, the study genetic variation in living organism is not fully quantifiable. Medical sciences, in particular the study of brain activity and the heart, is not fully quantifiable. Nuclear physics, the study of the atomic world, is definitely not fully quantifiable. Just like the markets, none of these sciences deal with topics which are fully quantifiable. They deal with systems which are stochastic because they involve the interaction of many small components. Does that make it "not science"? The answer is no, they are sciences. To be more specific, they are sciences which deal with complex adaptive systems like diseases, evolution, and atomic Brownian motion. The market is also a complex adaptive system consisting of the actions and interactions of many agents whether they be institutions, individuals, or machines. So even though you are right to say that human behaviour cannot be "fully quantified" that does not logically imply that it is "not a science". The movement of atomic particles, mutations in genes, the spread of a disease from person to person, or the firing of electrons in our brain cannot be "fully quantified" either, and yet Epidemeology, Genetics, Nuclear Physics, and Neuroscience are all still sciences. That is not to say these other sciences don't make assumptions, they most certainly do! LOL, find me a science which makes no assumptions and please don't insult my intelligence by telling me that it is physics (and please don't cherry pick the 'type' of physics just to fit your argument). Physics as a whole is just as guilty as the rest of the sciences when it comes to making assumptions (some of which are poor) ... or perhaps you've just never heard of the infamous String Theory? If you like Nassim Taleb's work, you will enjoy "The Trouble with Physics" by Lee Smolin. The heart of science, the hypothesis, is essentially an assumption. My point is that neither the lack of full quantifiability of the the micro agents in a complex system nor the presence of assumptions are logical arguments to conclude that a field is "not a science". Because science IS educated guesswork. That's why we test our hypotheses and iterate over them constantly. Lastly, I would like to point out that the very first paragraph of this article states that Quantitative Finance involves many assumptions which range from the absurd to the genius and that the importance of treating Quantitative Finance as a science, rather than some form of art, is to recognize our limitations and keep ourselves objective. Also, I included a link to an article I have written previously which details many of the most absurd assumptions in our industry. But like I said, none of that means it isn't a science and that we shouldn't follow the scientific method to improve our understanding of the markets further. Thanks again for your comment David. Your view is shared by many people I have met (especially Actuaries - cynical bunch), but respectfully I have to disagree. Great article Stuart, and very useful advice on how to progress with R. I am an aspiring quant, self-taught coder and currently trading for a living and find myself delving into code on a daily basis. I realised just recently that being a quant is not a destination but a journey, and i am well on my way.